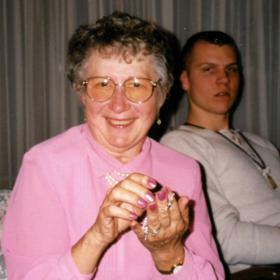 Theresa M. Vrublevskis, age 89, passed away peacefully at Home Inspired Senior Living in Kenosha on Jan. 21, 2019. 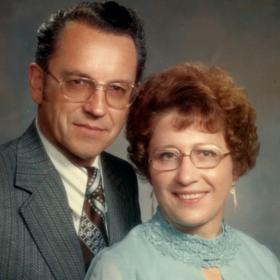 Theresa was born in Good Samaritan-Rugby, ND on June 19, 1929, daughter of the late Philip and Julia (nee: Goetz) Schmaltz Sr. and was raised on the family’s cattle and grain farm. 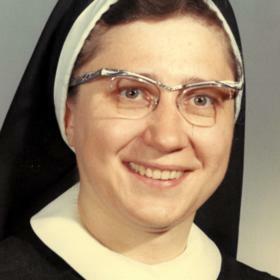 Theresa Schmaltz entered the convent of the Franciscan Sisters of Dillingen in Hankinson, ND, and made her first profession of vows on July 14, 1956, taking the name Sister Rosita Schmaltz. She received her BS in Education in 1967 from Alverno College in Milwaukee, WI and began her career as an elementary school teacher for the Franciscan Sisters. She taught 1st and 2nd grades at Little Flower School in Rugby, ND, Holy Family School in Grand Forks, ND and St. John’s School in Wahpeton, ND. Sister Rosita left the convent and consecrated life on December 11, 1969. 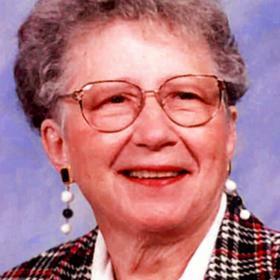 She educated many young minds while working for the Racine Unified School District from 1968 until retiring in 1973. During that time, she received her Master’s Degree in English, also spending some evenings teaching English as a second language, at Racine Technical prior to its move to Gateway. On July 30, 1972, Theresa married the love of her life, Antons Vrublevskis. The years spent traveling the world together were among her fondest memories. They also wintered in their Tucson, AZ home for many years, and shared thirty-six beautiful years together before Antons preceded her in death on January 12, 2008. She enjoyed spending time with family and loved to express her creative-side with her grand, then great grandchildren. Theresa was a member of Rotary Anns, during the time Antons was a Rotarian. 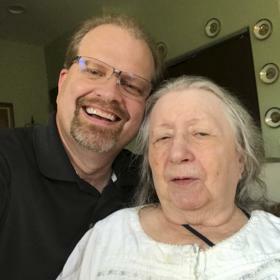 Theresa continued to live in Fountain Hills Apartments until moving in with family and then later moving into Home Inspired Living of Kenosha where she lived out the rest of her life. Theresa will be dearly missed by her brothers, Philip (Linda) Schmaltz Jr, Walter (Matilda) Schmaltz, Tony Schmaltz; step-daughter, Iris (Larry) Grimes; grandchildren, Anthony (Kathy) Ellingson, Shane (Sarah) Campbell, Julie (Steve) Dobbs, Mike (Kate) Dobbs, Laura (Rob) Carson, Brian Dobbs; 8 great-grandchildren; In addition to her parents, Theresa was also preceded in death by her sister, Ann; brothers, Daniel and Johnny; step-daughter, Inesa Vrublevskis. Memorial services will be held at the funeral home on Sunday February 10, 2019 at 11:00 a.m. Relatives and friends may meet with the family at the funeral for visitation on Sunday from 10:00 a.m. until time of service at 11:00 a.m. In lieu of flowers, memorials to The Alzheimer’s Association (www.alz.org) have been suggested. The family extends a special thank you to Home Inspired Senior Living and Hospice Alliance for all their loving and compassionate care.